The fourth LIP Session focuses on Life Skills, which are skills that allow a person to effectively deal with the challenges of everyday life and responsibly handle their personal affairs. It's also called ADULTING and we're going to help you get ready for it. In this session, HWNT-FW teams up with professionals to give you information on managing your finances, campus safety and making a positive first impressions for job and college interviews. 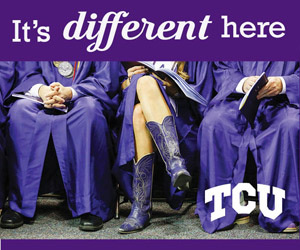 Texas Christian University rolls out the purple carpet and always provides us with fun swag and a delicious breakfast. Bring a rough draft of your HWNT scholarship essay, or any college essay during this session and our HWNT members and LIP Alum will provide you with invaluable feedback. ﻿You can also email your essay for editing at hwntessays@gmail.com. REMEMBER: HWNT-FW Scholarship Applications must be turned in at the final session or postmarked by February 16, 2019. Late applications will NOT be accepted.